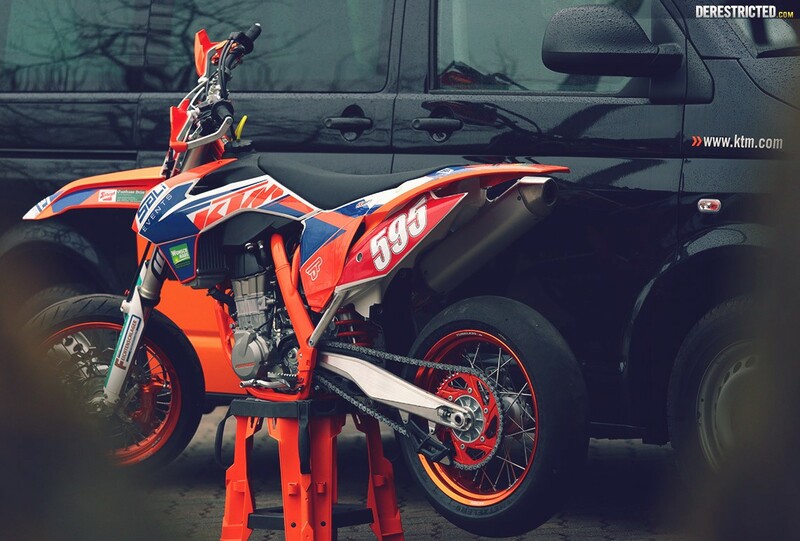 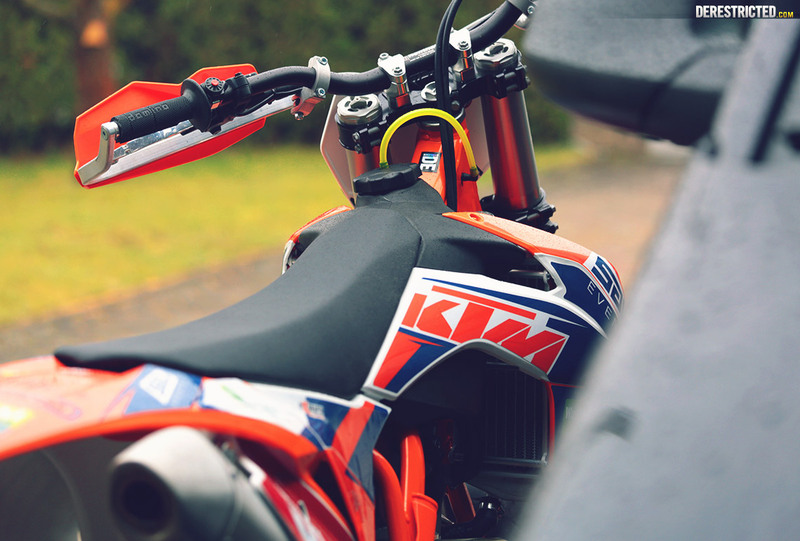 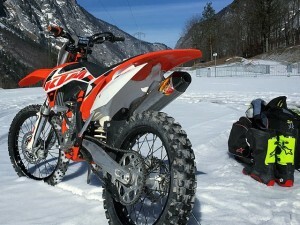 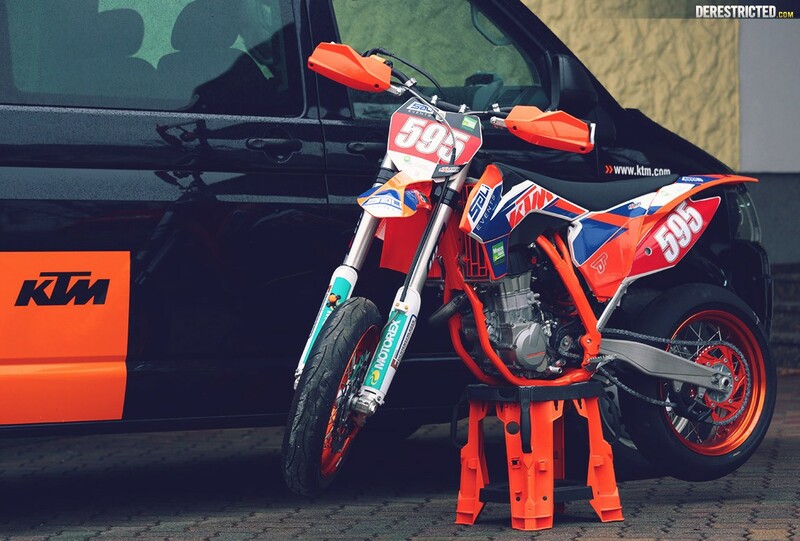 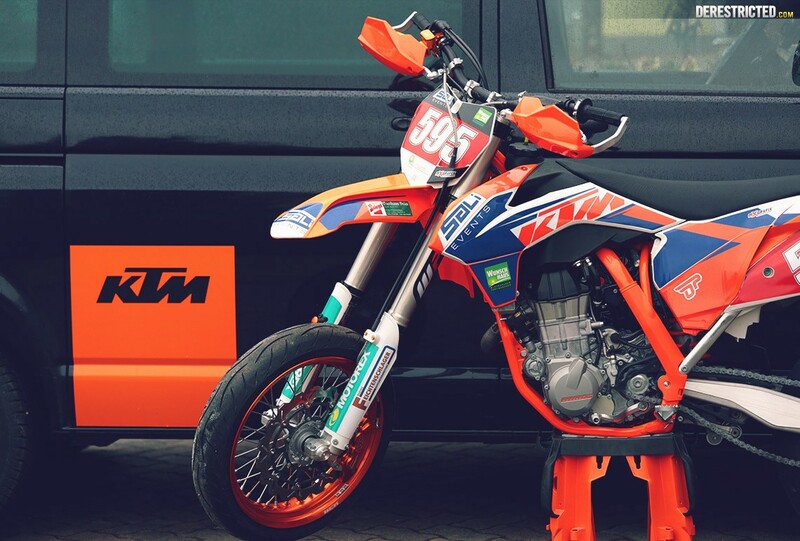 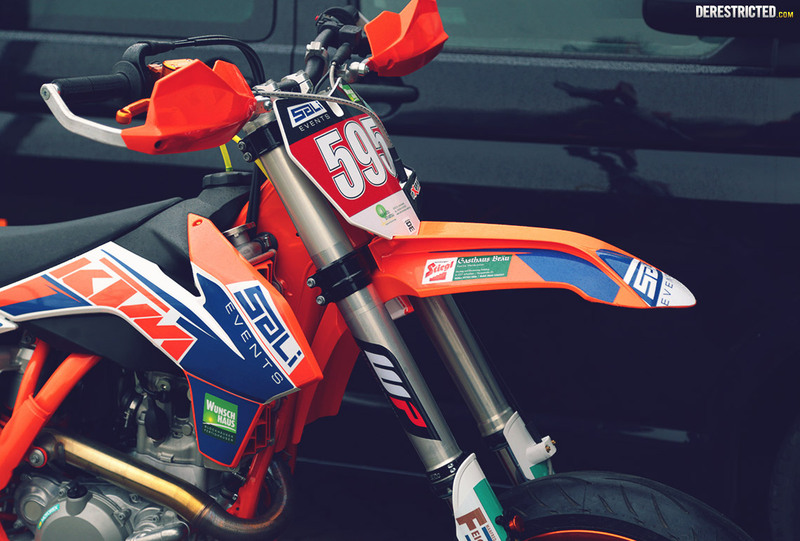 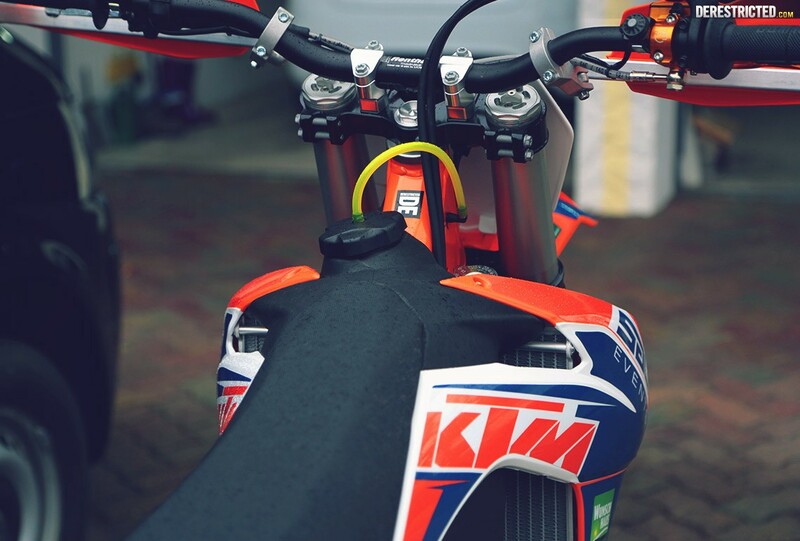 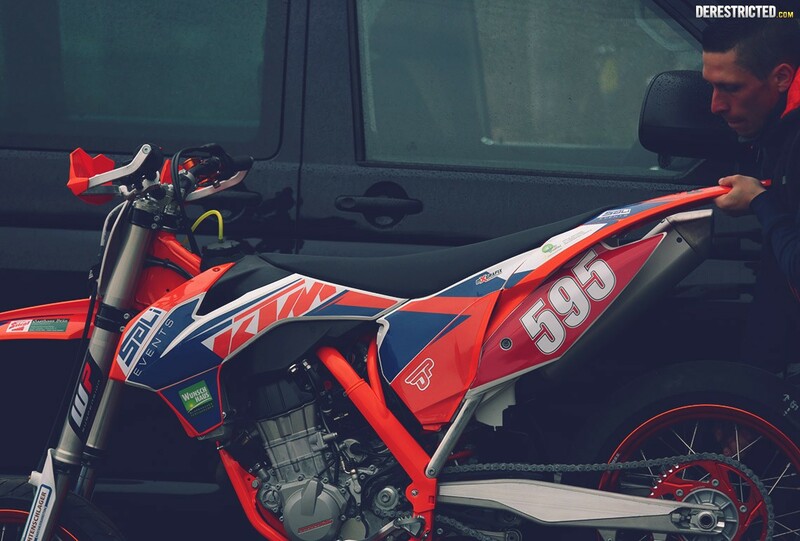 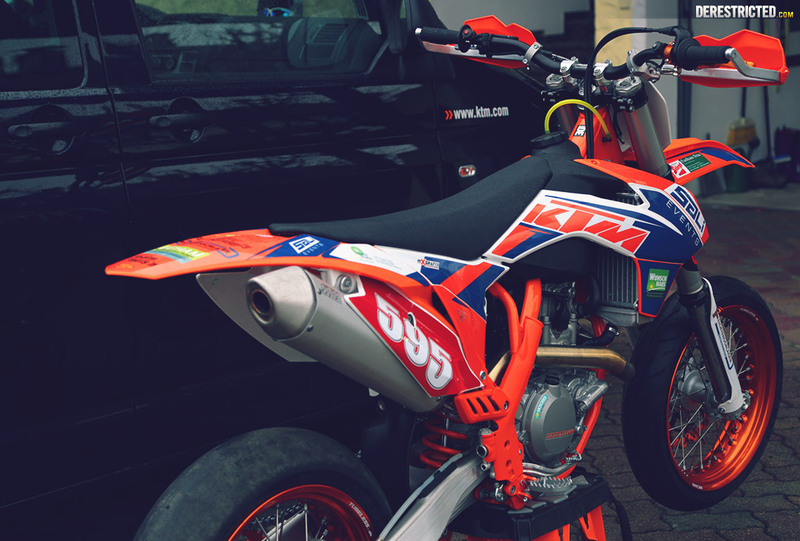 Bernhard Salhofer who works at KTM has been building up his 450 SM-R over the winter ready for some racing! 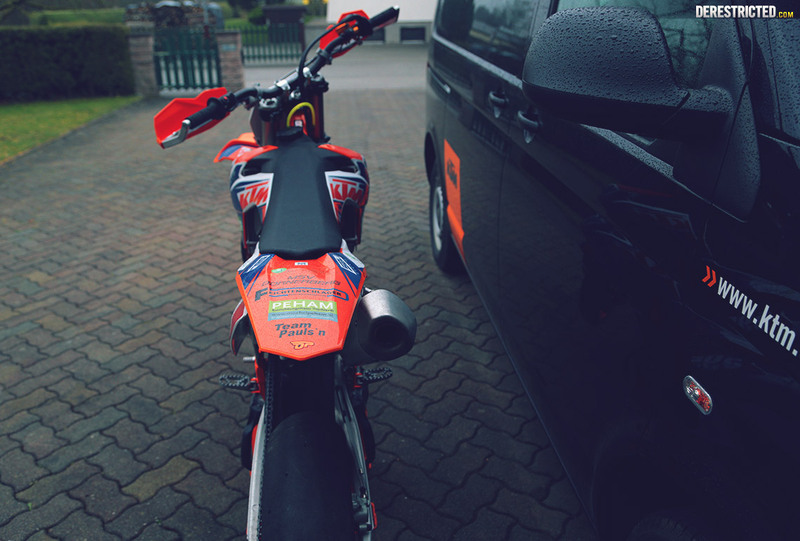 He has a few more things to do to it, but it’s pretty much ready to go and since I was in the neighbourhood I stopped by to take a few photos. 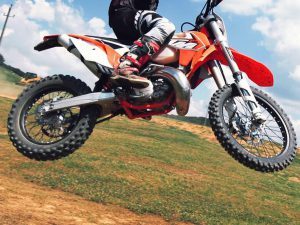 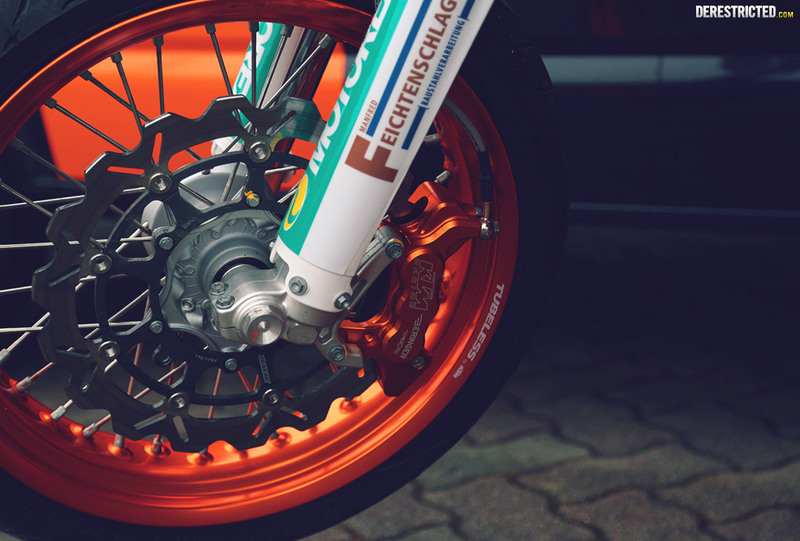 The list of mods is as follows: Front Brake cpl. 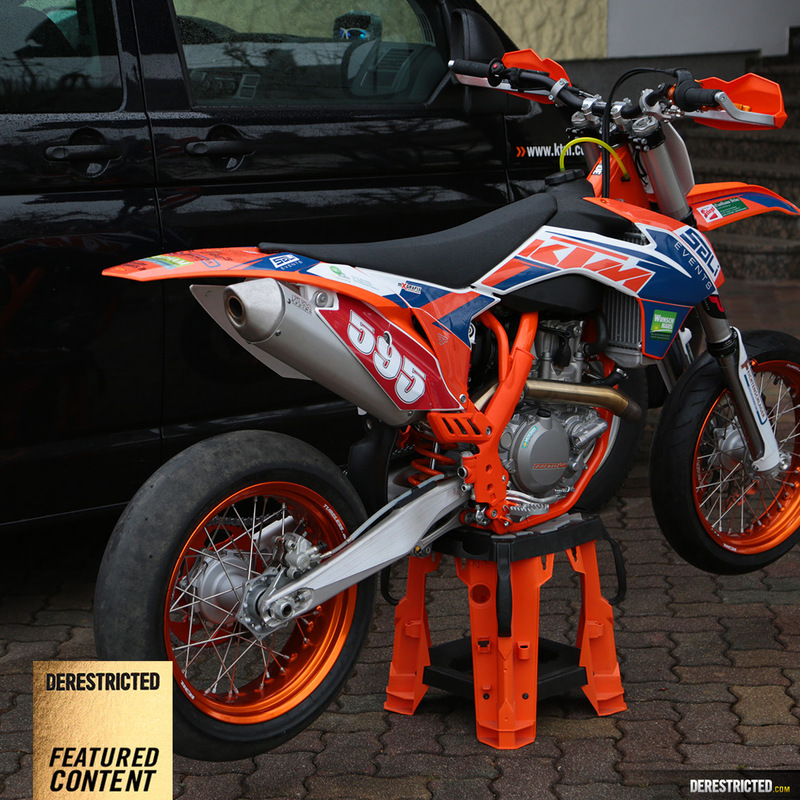 (Behringer); Factory Start; front Fender (selfmade for Supermoto); handguards aluminium PP KTM; antihopping clutch from SUTER switzerland; frame orange; Sprox Aluminium orange; tyres orange in front and back tubeless; CTG designed by MX Graphics; WP Suspension exclusively prepared by WP Team Pauls’n.